In the past year, the percentage of girls aged 12 and 15 years who experienced a major depressive episode has tripled from 5.1% to 15.2%, according to a report by the Substance Abuse and Mental Health Services Administration (SAMHSA). The report, which is based on combined data from the 2008 to 2010 SAMHSA National Survey on Drug Use and Health (NSDUH), also revealed that each year, an average of 1.4 million adolescent girls aged between 12 to 17 years suffers from a major depressive episode, which is three times higher, i.e. 12% than the risk of their male counterparts (4.%). The NSDUH is a scientifically conducted annual US-wide survey that involves around 67,500 individuals above the age of 12 years. According to criteria listed in its Diagnostic and Statistical Manual of Mental Disorders (DSM-IV), the American Psychiatric Association has defined a major depressive episode as a person suffering a period of depressed mood or loss of interest/pleasure that lasts 2 weeks or longer, in addition to suffering from at least four other symptoms that indicate a change in functional behavior, including sleeping problems, problems with eating, concentration, energy and with their self-image. SAMHSA provides various successful programs designed to effectively promote the recovery of adolescent girls suffering from depression. One of their programs, the Child Mental Health Initiative, offers everyone with regular contact to young people, including parents, family members, teachers, coaches, friends, etc., comprehensive and coordinated services and care across all of the systems. The program has been successful in considerable reducing depression rates in young adults, helping them to lead full and productive lives. Another key finding in the report showed that older adolescent girls with major depressive episodes tended to receive more treatment than their younger peers, with around two fifth of girls aged 15 to 17 years receiving therapy compared with only one thirds of those in the 12 to 14-age group. Visit our depression section for the latest news on this subject. Grace Rattue. “Adolescent Girls More Likely To Be Depressed Than Boys.” Medical News Today. MediLexicon, Intl., 27 Jul. 2012. Web. If you write about specific medications or operations, please do not name health care professionals by name. For any corrections of factual information, or to contact the editors please use our feedback form. Note: Any medical information published on this website is not intended as a substitute for informed medical advice and you should not take any action before consulting with a health care professional. For more information, please read our terms and conditions. New research conducted by biologists at Texas A&M University suggests that ZOLOFT®, one of the most widely prescribed antidepressants in the world, also packs a potential preventative bonus – potent mechanisms capable of inhibiting deadly fungal infections. The findings are the result of a two-year investigation by Xiaorong Lin, assistant professor of biology, and Matthew S. Sachs, professor of biology, involving sertraline hydrocholoride (ZOLOFT) and its effects on Cryptococcus neoformans, the major causative agent of fungal meningitis – specifically, cryptococcal meningitis, which claims more than half a million lives worldwide each year, according to a 2009 Center for Disease Control (CDC) report. Their research, funded with grants from the American Heart Association (AHA), the Norman Hackerman Advanced Research Program, and the National Institutes of Health (NIH), was published in the American Society of Microbiology journal Antimicrobial Agents and Chemotherapy. Their research team includes Ph.D. candidate Bing Zhai and postdoctoral fellows Cheng Wu and Linqi Wang. C. neoformans is a potentially dangerous fungal pathogen found in many soils throughout the world that may cause systemic infections, particularly involving the central nervous system. In most cases, the microscopic, airborne fungal cells of C. neoformans cause asymptomatic colonization in the lungs. However, Lin says the fungus is particularly aggressive in people with weakened immune systems and can spread to other parts of the body, such as the brain and spinal cord, resulting in cryptococcal meningitis – a condition that, in absence of treatment, is fatal. Lin participated in a previous study to screen a collection of FDA-approved drugs in a John Hopkins Clinical Compound Library to determine if any contained fungicidal agents. Although sertraline was shown to only moderately inhibit the effects of common fungal strains like Aspergillus nidulans, a genus of common mold often found on spoiled food, and Candida, a genus of yeast often associated with mammals, sertraline was found to be particularly effective against C. neoformans. A follow-up investigation of sertraline in a mouse model of systemic cryptococcosis revealed that it combats infection similar to fluconazole, an antifungal drug used commonly since the early 1990s. Moreover, a drug combination of sertraline and fluconazole was found to work more efficiently than either drug alone. Lin says that even though the infection ultimately proved fatal in the mice study, sertraline as a cryptoccol treatment still holds promise. Because sertraline reduced the overall fungal burden within the mice and also possesses the desirable ability to cross the blood-brain barrier as an antidepressant, there is still hope it can be altered to serve as a viable treatment option. It remains unclear exactly what dosage and concentration of sertraline is necessary to completely eliminate cryptococcosis, especially cryptococcal meningitis, but Lin and Sachs hope those answers will come to light with further testing. “If this becomes useful, it could represent a truly significant increase in our ability to help people with brain cryptococcal infections,” Sachs adds. View drug information on Zoloft. Article adapted by Medical News Today from original press release. Click ‘references’ tab above for source. Visit our infectious diseases / bacteria / viruses section for the latest news on this subject. Texas A&M University. “Antidepressant Packs Potential To Fight Fungal Meningitis.” Medical News Today. MediLexicon, Intl., 27 Jul. 2012. Web. A new study, published online in the journal Molecular Psychiatry, has revealed that although chronic exposure to dim light at night can lead to depressive symptoms in rodents, the symptoms are reversible by simply switching back to a normal light-dark cycle. Researchers found that hamsters that were exposed to 4 weeks of light during the dark cycle at night displayed symptoms of depression, which disappeared around two weeks, after switching back to a normal day and night cycle. The researchers noted that changes in the hamsters brain, which occurred during the chronic light period, also reversed when they returned to a normal light cycle. The new study also offers some hope for those suffering from depression. The study was a collaboration of Bedrosian, Zachary Weil, research assistant professor in neuroscience and Randy Nelson, professor of neuroscience and psychology, whose lab conducted previous studies in which he linked chronic exposure to light at night to depression and obesity in animal models. The team discovered that one particular protein called tumor necrosis factor (TNF) that is present in the brain of hamsters, which is also present in humans, may play a key part in exposure to light at night can lead to depression. By blocking this protein, the team managed to prevent the hamsters from developing depressive-like symptoms – even when they were exposed to light at night. The researchers conducted two experiments with female Siberian hamsters – with surgically removed ovaries – to ensure that the results were not distorted due to the production of hormones. The first experiment exposed half of the hamsters to eight weeks in a standard light-dark cycle of 16 hours of light (150 lux) and 8 hours of total darkness each day, whilst the other hamsters were kept in 16 hours of daylight and 8 hours of dim light, i.e. 5 lux, for the first four weeks, which is similar to an on-switched television in a darkened room. After eight weeks, the hamsters were returned to live under normal light cycle conditions for a period of either 1,2 or 4 weeks before testing began. The animals were subsequently subjected to various behavior tests, which showed that hamsters exposed to chronic dim light at night were less active overall during their active period each day than those in standard lighting conditions. The animals that experienced the dim light also displayed greater depressive symptoms compared with the other hamsters, which was observed by showing less interest in drinking sugar water they usually enjoy. However, the team observed that within two weeks of returning to a normal light cycle, the depressive-like symptoms in those in the dim light group were no different than that in hamsters that always had standard lighting and that the animals regained their normal levels of activity. The animals were sacrificed after the behavioral test and the researchers examined the animals’ hippocampus, the region in the brain that plays a key role in depressive disorders. The team discovered that the hippocampus of those that were exposed to dim light displayed various changed linked to depression, one of which was an increased expression of the gene that produces TNF. TNF is a chemical messenger, which is activated during an injury or infection. It belongs to a large family of proteins called cytokines, which cause inflammation in an effort to repair the body’s injured or infected site. However, when the inflammation is constant it can be damaging, as seen in the hamsters that were exposed to dim light at night. The team also discovered that hamsters in the dim light group had a considerably reduced density of dendritic spines, i.e. hair like growths on brain cells that transmit chemical messages between cells. Bedrosian stated that changes such as this have been associated with depression. The team did discover though that in hamsters that were returned to a regular light-dark cycle after four weeks of dim light during the night were able to restore their TNF levels and even their density of dendritic spines to essentially normal levels. The second experiment involved testing TNFs importance in causing the negative effects those hamsters that were exposed to light at night. Some hamsters received a drug named XPro1595, a TNF inhibitor that negates the effects of some forms of TNF in the brain. The results demonstrated that those in the dim light group displayed no more depressive-like symptoms than standard-light hamsters if they were given XPro1595. The team points out that the drug was not able to prevent the reduction of dendritic spine density in those exposed to dim light. Nelson concludes that these results add to existing evidence of TNFs potential role in causing depressive symptoms in hamsters exposed to dim light. He continues saying that the fact that XPro1595 did not affect dendritic spine density means that more research is necessary to gain further insight into the workings of TNF. Petra Rattue. “Light At Night Damage May Be Reversed.” Medical News Today. MediLexicon, Intl., 26 Jul. 2012. Web. Chronic exposure to dim light at night can lead to depressive symptoms in rodents — but these negative effects can be reversed simply by returning to a standard light-dark cycle, a new study suggests. “The results we found in hamsters are consistent with what we know about depression in humans,” Bedrosian said. But the new study, published online in the journal Molecular Psychiatry, also offers some hope. Bedrosian conducted the study with Ohio State colleagues Randy Nelson, professor of neuroscience and psychology, and Zachary Weil, research assistant professor in neuroscience. After the behavioral testing, the hamsters were sacrificed and the researchers studied a part of their brains called the hippocampus, which plays a key role in depressive disorders. Findings showed that hamsters exposed to dim light showed a variety of changes associated with depression. In a second experiment, the researchers tested just how important TNF might be in causing the negative effects seen in hamsters exposed to light at night. In this experiment, some hamsters were given a drug called XPro1595, which is a TNF inhibitor — meaning that it negates the effects of some forms of TNF in the brain. Results showed that hamsters exposed to dim light at night did not show any more depressive-like symptoms than standard-light hamsters if they were given XPro1595. However, the drug did not seem to prevent the reduction of dendritic spine density in hamsters exposed to dim light. The study was supported by grants from the National Science Foundation and the U.S. Department of Defense. The XPro1595 used in the study was provided by Xencor, Inc.
Ohio State University. “Minimizing Exposure To Artificial Light At Night May Improve Depressive Symptoms.” Medical News Today. MediLexicon, Intl., 26 Jul. 2012. Web. Antidepressants are psychiatric medications given to patients with depressive disorders to alleviate symptoms.They correct chemical imbalances of neurotransmitters in the brain which probably cause changes in mood and behavior. Antidepressants may be used for a wide range of psychiatric conditions, including social anxiety disorder, anxiety disorders, and dysthymia (mild chronic depression). Antidepressants were initially developed in the 1950s, and have become progressively more common over the last twenty years. In 1996 there were 13.3 million people using antidepressants in the United States; this figure jumped to 27 million in 2005, an increase of over 100%. Researchers from Columbia University Medical Center, the New York State Psychiatric Institute, and the University of Pennsylvania added that rates remained low among racial and ethnic minorities. According to data gathered from public health authorities in Canada, Western Europe and Australasia, increased antidepressant usage has been a progressively common trend in most industrialized countries. Monoamine oxidase inhibitors (MAOIs) – also known as monoamine oxidase inhibitors, are a kind of antidepressant that inhibit the action of monoamine oxidase, a brain enzyme. Monoamine oxidase helps break down neurotransmitter, such as serotonin. If less serotonin is broken down, the patient hopefully has more stabilized moods and less anxiety. Doctors usually use MAOIs if SSRIs have not worked, because MAOIs clash with a considerable number of other medications and some foods. MAOIs have the following possible side effects: blurred vision, rash, seizures, edema, weight loss, weight gain, sexual dysfunction, diarrhea, nausea, constipation, anxiety, insomnia, drowsiness, headache, dizziness, arrhythmia, fainting, feeling faint when standing up (postural hypotension), and hypertension. Examples of Monoamine Oxidase Inhibitors are: phenelzine (Nardil), tranylcypromine (Parnate), isocarboxazid (Marplan) and selegiline (EMSAM, Eldepryl). Noradrenaline and Specific Serotoninergic Antidepressants (NASSAs) – a class of compounds which are used in the treatment of anxiety disorders, some personality disorders, and depression. NASSAs have the following possible side effects: constipation, dry mouth, weight gain, drowsiness, sedation, blurred vision and dizziness. More serious adverse reactions include: seizures, white blood cell reduction, fainting, and allergic reactions. Serotonin and Noradrenaline Reuptake Inhibitors (SNRIs) – a class of drugs used to treat major depression, mood disorders, and possibly but less commonly ADHD (attention deficit hyperactivity disorder), obsessive compulsive disorder, anxiety disorders, menopausal symptoms, fibromyalgia, and chronic neuropathic pain. Examples of Serotonin Norepinephrine Reuptake Inhibitors are: duloxetine (Cymbalta), venlafaxine (Effexor) and desvenlafaxine (Pristiq). Desvenlafaxine was found to be especially helpful in alleviating the symptoms of major depression in menopausal or pre-menopausal women, according to a study carried out by a team at Virginia Commonwealth University. Selective Serotonin Reuptake Inhibitors (SSRIs) – these are the most commonly prescribed antidepressants. Experts say that SSRIs are not only very effective in treating depression; they also have fewer side-effects than the other types. SSRIs block the reuptake (absorption) of serotonin in the brain, thus helping the brain cells receive and send messages, which results in better and more stable moods. They are called “selective” because they seem to mainly affect serotonin, and not the other neurotransmitters. SSRIs and SNRIs may have the following side effects: hypoglycemia, low sodium, nausea, rash, dry mouth, constipation, diarrhea, weight loss, sweating, tremor, sedation, sexual dysfunction, insomnia, headache, dizziness, anxiety, agitation, and abnormal thinking. Tricyclics – they are called “tricyclics” because there are three rings in the chemical structure of these medications. This class of medication is used to treat depression, and also some types of anxiety, fibromyalgia, and to control chronic pain. Tricyclics may have the following side effects: seizures, insomnia, anxiety, arrhythmia, hypertension, rash, nausea, vomiting, abdominal cramps, weight loss, constipation, urinary retention, increased pressure on the eye, and sexual dysfunction. Antidepressants are not all the same, how they affect neurotransmitters, how they are used, and what adverse effects or drug interactions are associated with them differ. One patient may not respond to one type of antidepressant and do better with another, while another person with a similar condition might respond the other way round. Antidepressants and cardiovascular disease risk – researchers from the Emory University School of Medicine, who carried out a study of twin veterans, found that antidepressant usage is associated with developing thicker arteries, which may contribute to a higher heart disease and stroke risk. Most antidepressants take a few weeks to work. They are usually taken for a few months or several years. Lack of compliance is a serious problem in getting the best out of antidepressants. Compliance means sticking to the treatment regime, taking the tablets at the same time every day, not forgetting to take them, etc. Patients with depression may not like having to wait several weeks for a result, and many drop out before the medication has had a chance to work. Despite the name – antidepressants – these medications can be used to treat several different types of illnesses and conditions, and not all of them psychiatric ones. Osteoarthritis pain – an article in the International Journal of Clinical Practice reported that antidepressants can be effective in relieving the symptoms of pain in osteoarthritis. The authors added that there may also be fewer side effects, compared to anti-inflammatory and opioids that are traditionally prescribed. Premenstrual symptoms – researchers from the University of Pennsylvania School of Medicine reported that many women who take sertraline, an antidepressant, for the relief of severe premenstrual symptoms, appear to go through relapse within six to eight months after discontinuing the medication. Treating children with an autism spectrum disorder with an antidepressant was found to be ineffective in reducing repetitive behaviors, researchers from Yale University School of Nursing and the Child Study Center, found. For a medication to be assessed properly there has to be a clinical trial, preferably a double-blind one, comparing the drug with either another one or a placebo. “Double-blind” means that neither the doctor nor the patient knows who is having the drug and who is having the placebo. Placebos do have an effect on improving symptoms in many illnesses and conditions; we call this the “placebo effect”. For a drug to be considered for approval by a country’s regulatory authorities there needs to be a “significant difference” between the active ingredient (drug) and the placebo. In this case, 50%-60% is significantly different from 25%-30%. 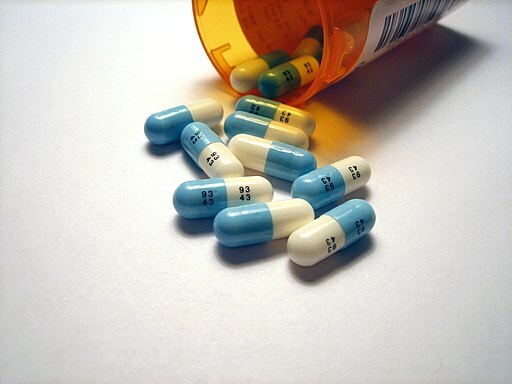 Researchers from the Northwestern University Feinberg School of Medicine believe that about half of all patients never get relief from antidepressants because their illness has been oversimplified and their medication is aimed at the wrong target. Professor Eva Redei explained that antidepressants are often targeting and treating stress, rather than the depression itself. Medication plus psychotherapy is more effective – patients who receive a combination of antidepressant medication and psychotherapy tend to get better results with major depressive disorder compared to those who are on medication alone or have just psychotherapy, according to several studies. A team from the National Institutes of Health’s National Institute of Mental Health reported in Archives of General Psychiatry that adolescents with major depression who received a combination of medication and psychotherapy over a 36-week period had significantly superior improvements than patients of the same age who were receiving just one type of therapy. They noted that a higher percentage (15%) of those on fluoxetine (Prozac) alone had suicidal thoughts than those on cognitive behavioral therapy alone (6%) or combination treatment (8%). Can I become addicted to an antidepressant? Unlike nicotine, some illegal street drugs, tranquilizers and many painkillers, you do not need to keep raising the dose to get the same effect with antidepressants – so in that sense they are not addictive. When somebody is weaned off an antidepressant they will not experience the withdrawal symptoms that you get when you are addicted to nicotine and try to give up smoking. However, studies have shown that nearly one third of all patients on SSRIs and SNRIs experienced withdrawal symptoms when treatment stopped. Withdrawal symptoms lasted from two weeks to a couple of months. Withdrawal symptoms reported included anxiety, dizziness, nightmares and/or vivid dreams, electric shock-like sensations in the body, flu-like symptoms, and stomachache. In the vast majority of cases, symptoms were mild. Severe cases are uncommon and are more likely to happen when patients come off Seroxat and Efexor. Doctors should wean patients off antidepressants gradually to minimize the risk of unpleasant withdrawal symptoms. Is it withdrawal or illness recurrence? – If a patient finds it hard to cope some months after stopping antidepressant therapy, it is probably because their original illness or condition has come back, rather than a withdrawal problem. Can pregnant women take antidepressants? The doctor and patient need to discuss fully the benefits and potential harms of coming off antidepressants during pregnancy. Some people really need the medication to be well. Ideally, a pregnant mother should take as little medication as possible. The mother and doctor need to consider what the effect on the child would be if she came off the drug and became very ill. Other therapies should be discussed and considered, such as CBT (cognitive behavioral therapy), meditation, or yoga. Miscarriage – a team of medical investigators and pharmacists from the University of Montreal reported in CMAJ (Canadian Medical Association Journal) that taking antidepressants during pregnancy raises the risk of miscarriage by 68%. They added that up 3.7% of pregnant mothers use antidepressants during their first trimester. High blood pressure – scientists from the University of Montreal, Quebec, Canada, reported in the British Journal of Clinical Pharmacology that using selective serotonin re-uptake inhibitors during pregnancy most likely raises the risk of pregnancy-induced hypertension (high blood pressure). The authors added that they had not established a causal link. A study at the Children’s Medical Center of Israel, Petah Tiqwa, found that almost one third of infants whose mothers were on antidepressants while pregnant went through neonatal abstinence syndrome; withdrawal symptoms that include disturbed sleep, tremors and high-pitched crying. In some cases, their symptoms were severe. A study using laboratory rats which were exposed to an antidepressant just before and after birth, found that they had considerable brain abnormalities and behaviors. The animals had been exposed to citalopram, a serotonin-selective reuptake inhibitor. Can I take antidepressants if I am breastfeeding? Some antidepressants get into the breast milk in only tiny amounts; examples include sertraline and nortriptyline. Within a few weeks after birth the livers and kidneys of babies are able to break down the medication’s active ingredients effectively, as well as adults do. A sizeable minority of patients, between 40% and 50% of them, say their medications were not effective, even after having taken them for three months. There could be many reasons for this; possibly the wrong medication was chosen, the patient was not closely monitored enough, the treatment should have included other therapies, such as cognitive behavioral therapy, or poor compliance/adherence (the patient sometimes forgot to take his/her meds, did not take them at the right time, etc). Keeping in close contact with the doctor helps improve your chances. Possibly the dosage needs to be changed, or the doctor may eventually recommend switching to another medication. This will not happen if the patient does not go back to the doctor. The antidepressant needs to be taken according to instructions – if it says every day, it has to be every day, otherwise it will not be effective. The majority of patients will feel no benefits during the first or second week. The full effect will not be present until after one or two months. Perseverance is vital. Researchers from the University of Texas Southwestern Medical Center said that if your antidepressant is not working within six to eight weeks, your chances of recovery are considerably better if you either switch drugs or add another medication. Most American pediatric patients do not complete their course – approximately half of all Medicaid-covered children and adolescents in Ohio do not complete their first three months of depression treatment, researchers from Ohio State University found. The authors added that non-compliance was greater among the teenagers. Primary care physicians and psychiatrists say that the main reason people do not get better and their depression either returns or does not improve is that they stop too early, before any real benefits may be felt. How long does an antidepressant treatment course last? The Royal College of Psychiatry says that the majority of depressions resolve within about 8 months without treatment. People who stop taking their medication before 8 months risk a return of symptoms. Ideally, the patient should stay on the antidepressant for at least six months after feeling better. Patients who have had at least two attacks should carry on with the treatment for at least 24 months. In more severe cases, when the depression regularly recurs, they may have to continue with their pharmacological treatment for several years. Can long-term antidepressant usage worsen depression outcome? – scientists from the University of Bologna, Italy, found that sometimes, long-term usage of antidepressants may make the person biochemically more vulnerable to depression. They added that in many cases there will be a poor response to pharmacological treatment. Some studies have shown that a healthy, well-balanced diet, plenty of exercise, and staying in touch with family and friends can reduce the risk of depression. Some studies produce surprising results. One published in the BMJ (British Medical Journal) found that there was no difference in outcomes between depressed people who received “usual care” and those who received “usual care plus exercise”. People with mild depression may benefit from counseling. Some OTC (over-the-counter) herbal remedies, such as Hypericum, which is made from St. John’s Wort, a herb, have been shown to help a number people with depression. You must tell your doctor if you are taking Hypericum, because it can clash with some drugs. For those who suffer from SAD (seasonal affective disorder), sometimes known as “winter blues”, a light box may help. The light box is switched on for a specific period each day and the patient sits in front of it. SAD is said affect some adults and teenagers during the winter months because of a lack of sunlight. Plenty of sunlight exposure helps maintain healthy levels of vitamin D. A study found that women with depression who were treated for vitamin D deficiency responded well and reported fewer depressive symptoms. View drug information on Celexa; Clomipramine hydrochloride; Cymbalta. Sources: Medical News Today archives, The Royal College of Psychiatrists, Wikipedia, The National Health Service (NHS, UK), The National Institutes of Health. Christian Nordqvist. “What Are Antidepressants?.” Medical News Today. MediLexicon, Intl., 26 Jul. 2012. Web. Numerous studies have been conducted on the impacting factors for pregnancy outcomes in young women, yet so far, no study has established which of these factors are the most important and the impact of depression on pregnancy outcomes is particularly unclear. Researchers from Norway’s Institute of Public Health and the Centre for Adolescent Health, Murdoch Children’s Research Institute together with Australian researchers from the Royal Children’s Hospital in Melbourne have now discovered that the most significant risks for becoming pregnant and abortions in young adulthood are adolescent antisocial and drug use behavior. The researchers examined the link between depressive symptoms in 14 to 18 year old adolescent girls and their pregnancy outcomes aged between 21 to 24 years as young adults. The research included data from 988 young Australian women who participated in The Victorian Adolescent Health Cohort Study, a longitudinal study who were followed from age 14 in 1992 until today. The team defined pregnancy outcomes as becoming pregnant, as well as completing and/or terminating a pregnancy. The researchers checked participants for depressive symptoms six times during adolescence. Pregnancy outcomes were evaluated twice during young adulthood. The participants were also surveyed in terms of their degree of antisocial behavior, including vandalism, car damage, graffiti, fighting, theft and expulsion from school and drug use, including smoking, cannabis and alcohol during their teenage years in order to assess other possible influences on pregnancy outcomes. The researchers also took into consideration the women’s socio-economic data, including parental education and marital status and discovered an elevated risk of pregnancy in those who reported high depressive symptoms on several occasions during adolescence in comparison with those who reported no such symptoms. However, the researchers observed that this link was eliminated when they considered the participants’ antisocial and drug use behavior, as well as socio-economic variables. They noted, in particular, that adolescent antisocial and drug use behavior had the strongest link to becoming pregnant and having an abortion in young adulthood. The research therefore demonstrates the importance of accounting for other possible causal factors in addition to the factor of initial interest. The findings are also significant in relation to earlier research that was mainly based on pregnancy outcomes in teenagers, and not in young adults. Whilst in 1971, the average age of first-time mothers in most Western countries was 25 years, nowadays the term “early pregnancy” also applies to pregnancy in young adulthood with first-time mothers average age being 31 years. Visit our pregnancy / obstetrics section for the latest news on this subject. Petra Rattue. “Drug Use And Antisocial Behavior Strongly Linked With Adolescent Pregnancy.” Medical News Today. MediLexicon, Intl., 25 Jul. 2012. Web. Despite guidelines recommending screening for depression in cancer patients, it’s been unclear whether interventions designed to treat this depression are effective. A study* by the University of Colorado Cancer Center and other institutions, published in the Journal of the National Cancer Institute, changes that. This meta-analysis of 10 studies encompassing 1362 patients shows that especially cognitive behavioral therapy and pharmacologic interventions decrease depressive symptoms in cancer patients. “In the past, we had looked at interventions as a whole – most of which were designed to help cancer patients cope generally with stress but not specifically with depression – and found moderate effects. This study shows not only that interventions specific to depression in cancer patients can improve symptoms, but shows which interventions are likely to offer the most benefit,” says Kristin Kilbourn, PhD, CU Cancer Center investigator and assistant professor of psychology at the University of Colorado Denver. The recent study is the culmination of a five-year effort during which Kilbourn and collaborators combed the literature for studies that met stringent criteria specifying that studies were randomized control trials in which cancer patients reported a significant number of depressive symptoms prior to starting the intervention. “Still, many questions exist,” Kilbourn says. “For example, which interventions are best in early cancers versus metastatic disease? Do we find similar effectiveness if patients were diagnosed with depression before their cancer? And which interventions are most effective with different cultural and ethnic subpopulations?” Likewise, Kilbourn hopes further study will explore the durability of gains patients experience with these interventions. Finally, “This study supports the notion that screening for depression in cancer patients is important because if we could identify people early in the process and intervene, we now know definitively that we can affect the trajectory of this depression,” Kilbourn says. University of Colorado Denver. “Depression In Cancer Patients Improved By Cognitive Behavioral Therapy And Pharmacologic Interventions.” Medical News Today. MediLexicon, Intl., 24 Jul. 2012. Web.